Words like “Fusion”, “Gastro Pub”, “Farm to Table and Artisan Butchery”, have crept into “Restaurant speak” over the past couple of years, and with menus and restaurant concepts now gathering influences from all over the globe, cutting through what they actually mean and more importantly how they impact the customer is becoming ever more relevant. Thankfully kale with everything, insects, foam, and molecular gastronomy are rapidly approaching their sell by date but, as always some new way of presenting food or method of food production will appear as somehow “New” and “Must have” and will inevitably take their place. Call me old fashioned, but when I visit a restaurant I want, (expect) good quality, fresh food, that has an accredited traceable source, made from scratch by someone who has a great knowledge of food and food production, and knows not only what that meal should look and taste like, but has an understanding of health and hygiene practises. All of this should be delivered at a fair price point and better than I could cook myself at home. Well, whilst some restaurants supply all of the above, with the minimum of fuss and exceed the diners’ expectations at every level, there is a worrying trend that has been creeping through the industry for some time that seeks to “Muddy the Waters”. Descriptions such as “Fresh”, “Farm Produced”, “Cooked to perfection”, “Artisan” and “Fluffy as a Pillow” are inserted to suggest a higher quality, or imply that an extra or more complicated step in preparation or cooking method was carried out, and in many cases this relates to hiking up the price. 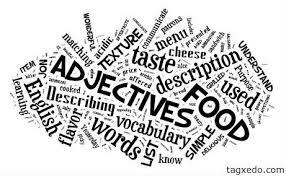 I expect anything that a restaurant is selling to be fresh and of good quality, this then surely negates the need for them to use all these adjectives on their menus. Menu’s should be fresh, innovative and reflect the relationship between equipment and chef skill factor; and above all exceed the expectations of the customer, not heavily peppered with confusing and redundant adjectives around a handful of useful words that describe what you are actually looking to order and eat. We all understand that consumers are demanding more, and are also being exposed to better quality and choice via a plethora of Travel and TV cooking shows with Celebrity Chefs (a problem in themselves). By being bombarded with all these opinions their palate has become more cosmopolitan and discerning, but at the same time more confused than ever before. To compliment this worrying trend is the practise of presenting food on something other than a plate. Now I admit I like my food to be served on a plate, but can stretch to a board for Pizza or Flat Bread and maybe even a slate slab for Burger or selection of Cheese, but a salad presented in a Mason jar? On a recent trip to Miami I had a plant pot and a golden Buddha sitting on my plate, may I add none of which made the food taste any better and made me question how these objects could possibly be sanitised for the next customer waiting to order the meal, or indeed the meal I was eating! I’m all for a bit of creativity with food and I enjoy something a lot more if it’s nicely presented, however is this practice clever or cutting edge? In my opinion it’s irritating and a ploy to detract from the quality of the dish. When did this whole aversion to plates begin? As previously mentioned thanks in no small part to the abundance of cooking shows on TV these days, everybody seems to want to be a quirky chef and only the select few are happy with just putting some decent food onto a plate any more. Customers don’t want food served on whatever thing you found in the hardware store, what’s wrong with a great white plate that makes the food “pop”? I can only assume these restaurants are being serious, but Bathroom fittings, Skate Boards, Toy Trucks, Dog Bowls, Garden Spades, Shoes (yes shoes), or anything industrial are not suitable plate substitutes. Remember: no matter how good “Finely diced and delicately seasoned prime Angus beef, grilled to perfection and served with a mountain of piping-hot French fries, crispy and more flavorful than you have ever experienced”, may sound, and even if it is delivered to your table served in paper lined Cowboy Hat, what you’re actually getting is a Burger & Fries.